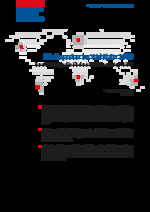 Since it became independent from France in 1960, Madagascar has experienced three phases of watershed political change and the founding of four republics and has not achieved any lasting consensus over the design of the government system down to the present day. The 2009 coup d’état plunged Madagascar into a socio-political crisis once again, which only on the surface was remedied by the election of the current President, Hery Rajaonarimampianina, in 2013, as polarisation into hostile political camps persists. This political instability has far-reaching social implications, and the country lacks societal institutions able to carry out a process of socio-political accommodation. Trade unions and civil society organisations are too weak to push forward with reforms, or they do not fully leverage their potential. 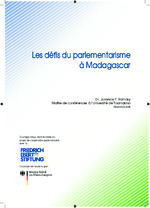 It is against this background that the Friedrich-Ebert-Stiftung (FES) in Madagascar is particularly committed to promoting orientation of political action to the common weal, to strengthening democratic institutions and their legitimacy while involving relevant societal groups in the political decision-making process. The FES has been active in Madagascar with interruption (1975-1988) since 1964. The most important target groups for its training and advisory measures are representatives of political institutions, selected young leaders, democratically elected members of the Parliament and multipliers from civil society institutions. Current project work concentrates on strengthening selected progressive young people in making a commitment as citizens. The objective behind the promotion of junior leaders is to encourage an orientation towards the common weal by the political class over the long term and hence make a contribution to overall social accommodation of interests. 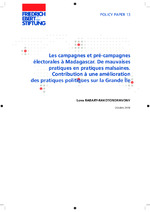 By fostering a new generation of democratic-minded political actors, the FES makes an important contribution to stabilising and consolidating democratic institutions and processes in Madagascar. The FES office in Madagascar furthermore coordinates the topical area of sustainability and climate in Sub-Saharan Africa. Learn more about our work in Madagascar on the project's website. 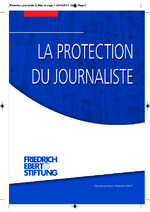 Konsolidierung oder Ausbruch einer erneuten Krise?